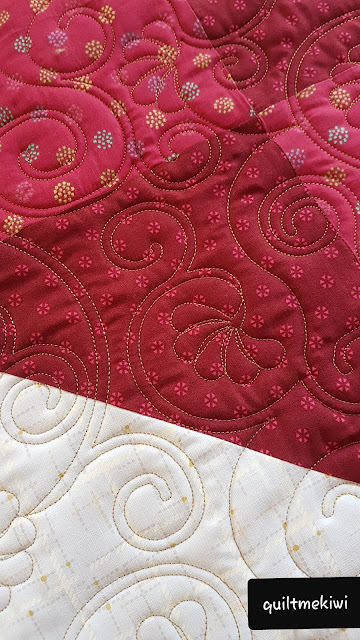 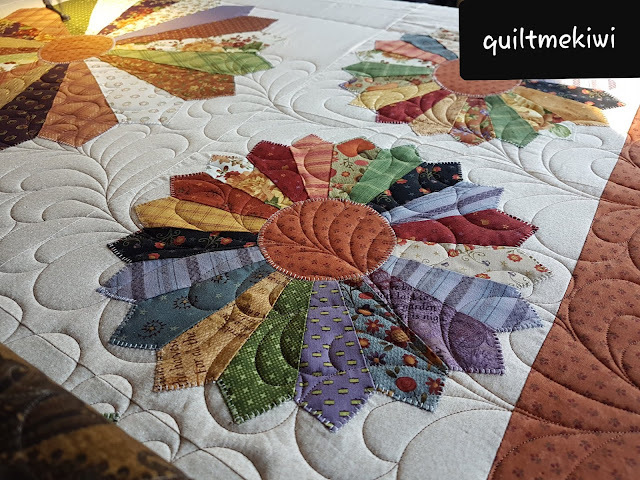 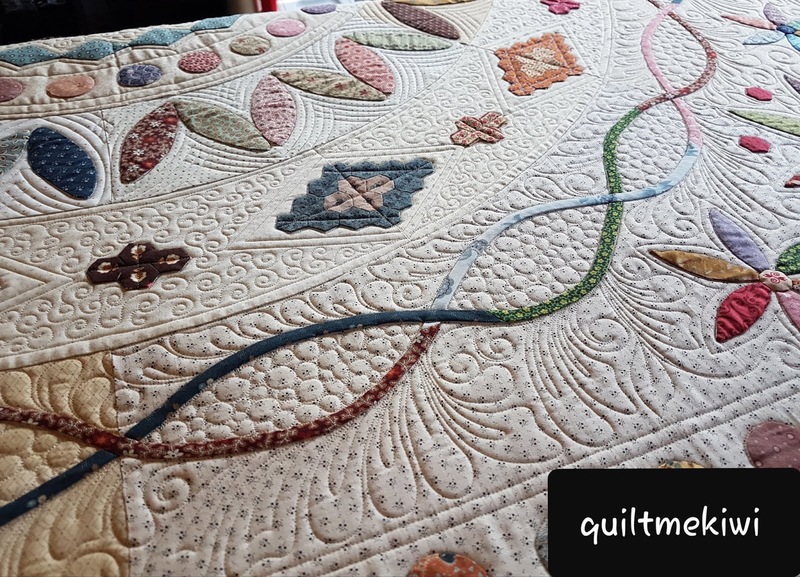 Earlier in the year Linda sent me her two pretty quilt tops asking for them to please be quilted. Measurements - 68" x 84"
Batting - Cotton - Purchased from me. 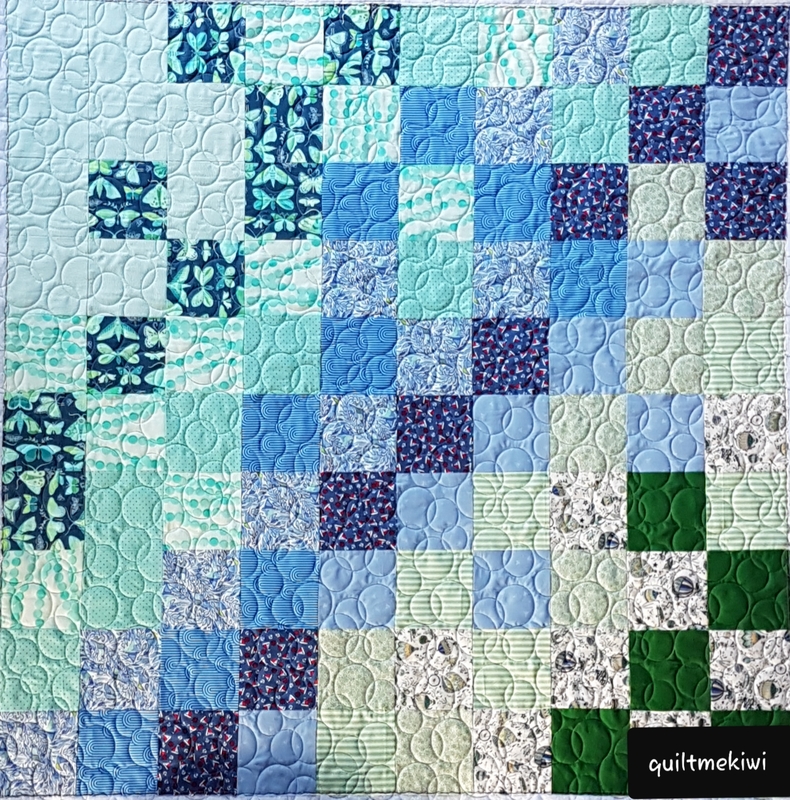 Pattern - Moda Love by Moda. 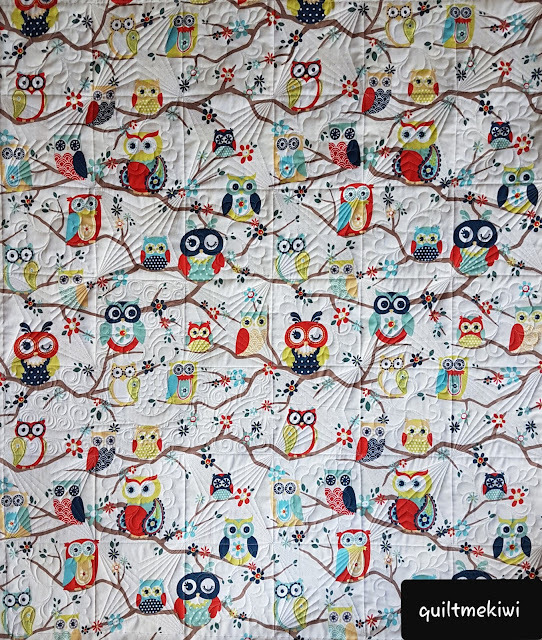 Measurements - 68" x 68"
Batting - Polyester - Purchased from me. 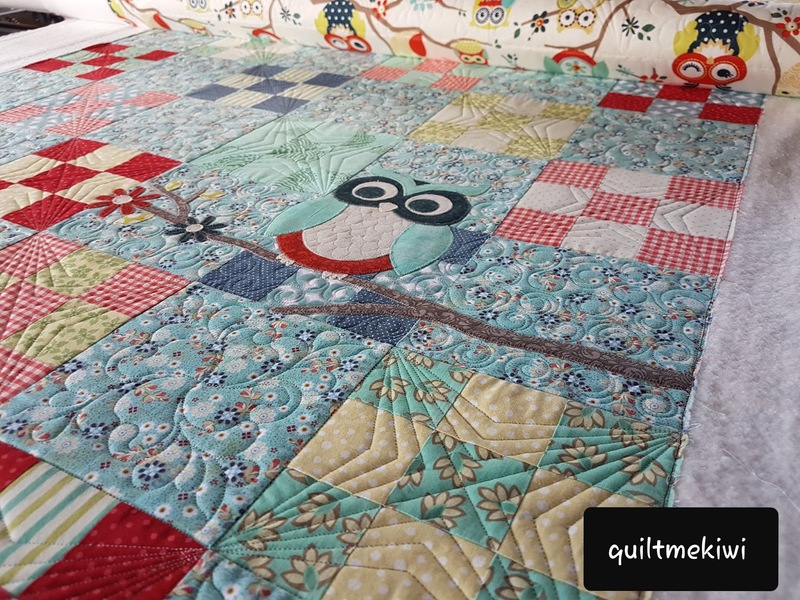 Quilting - E2E Quilting - Phoebe. 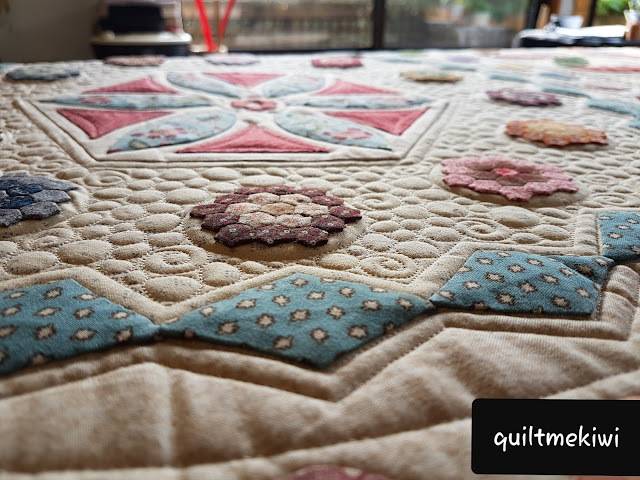 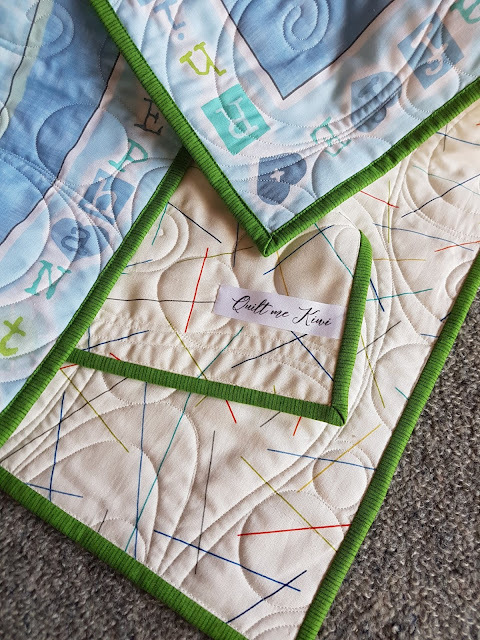 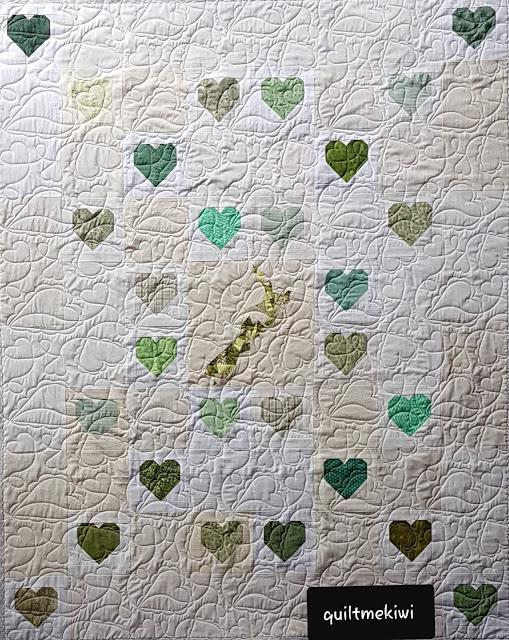 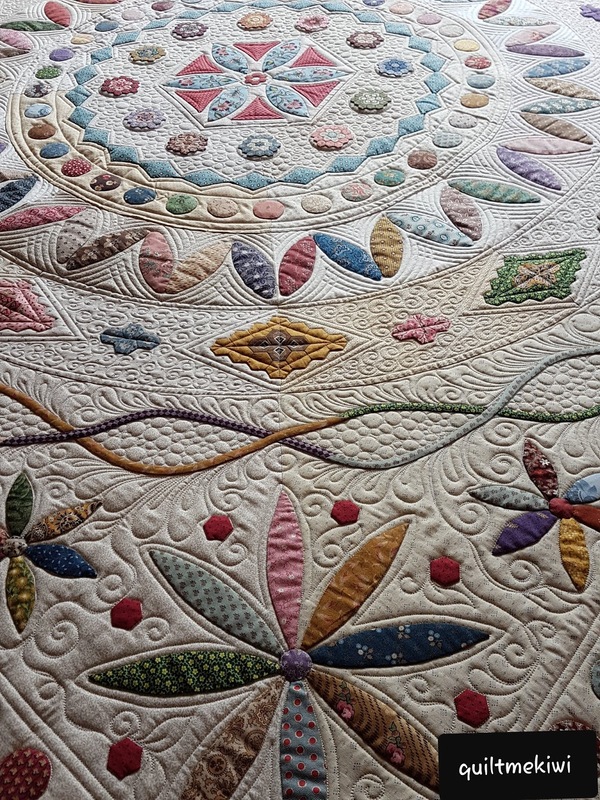 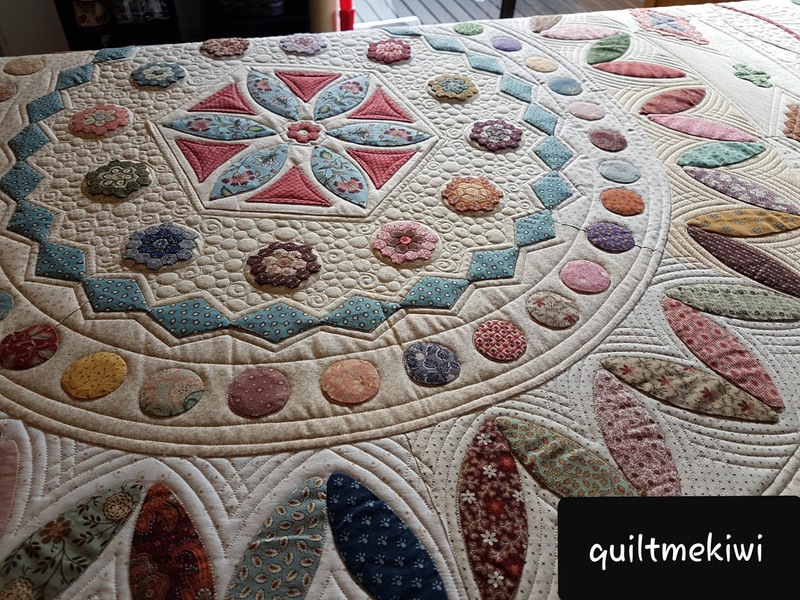 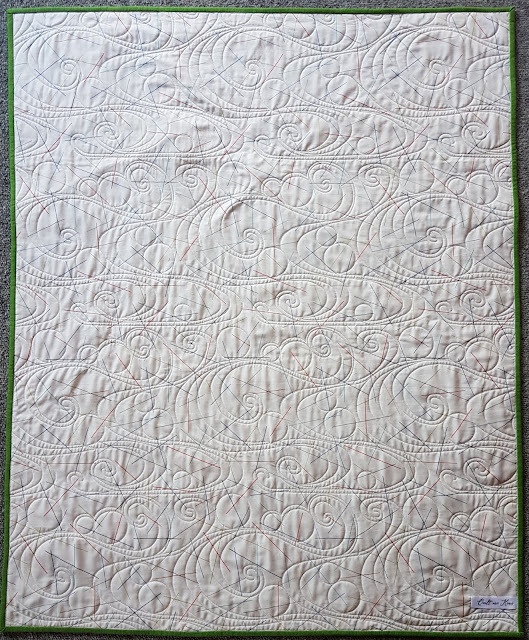 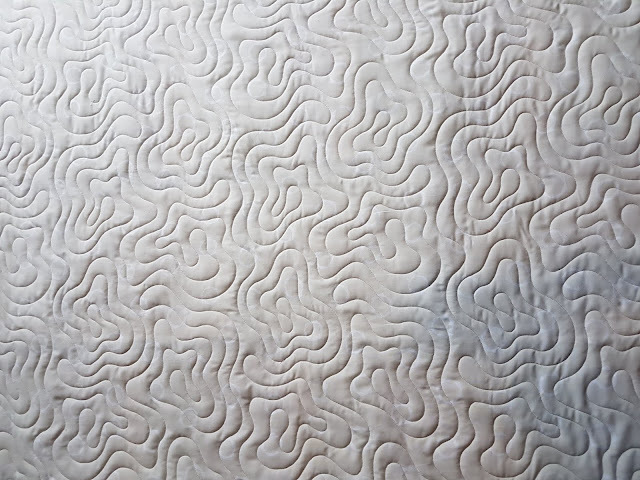 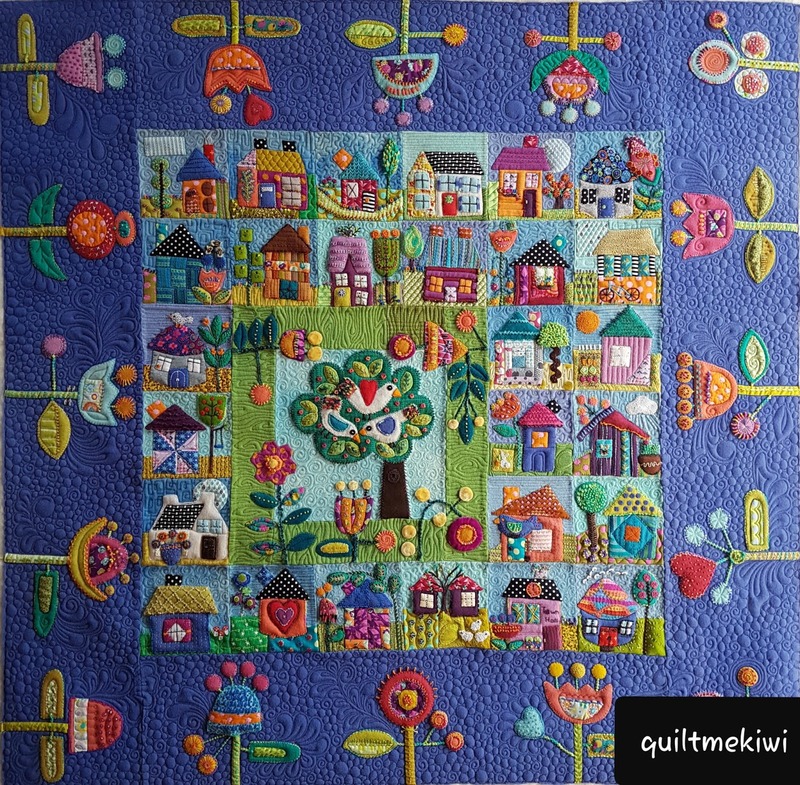 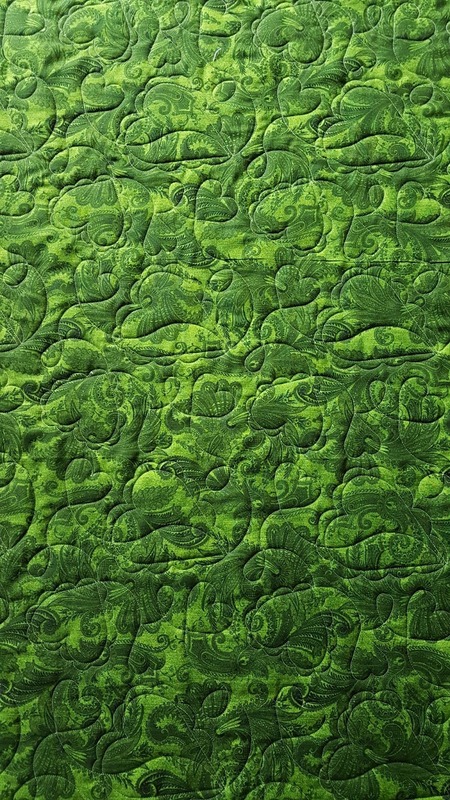 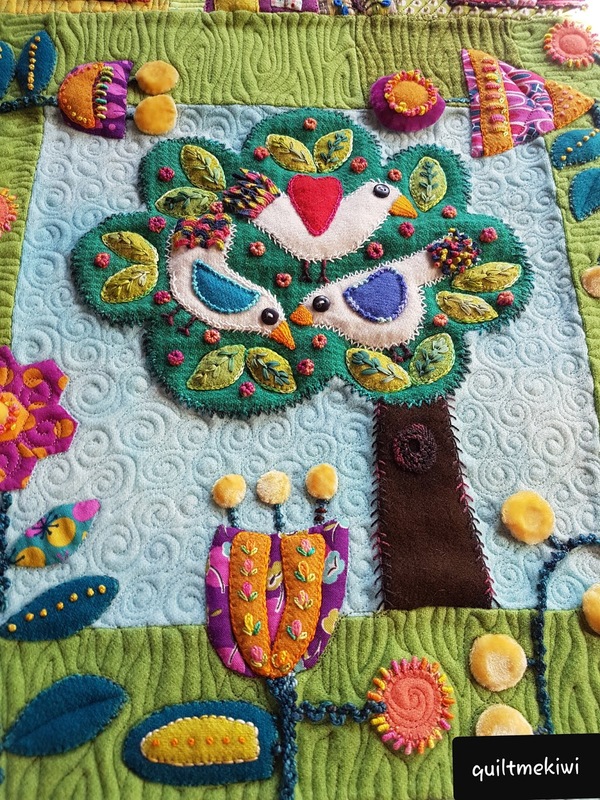 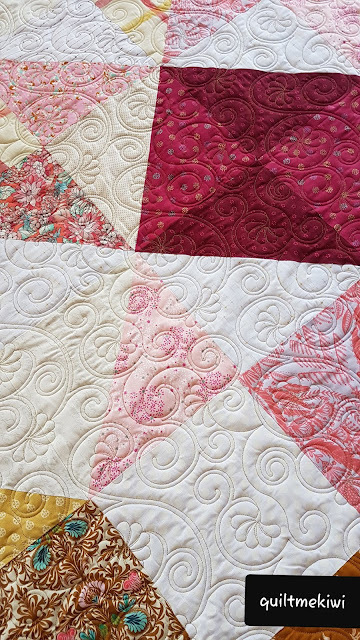 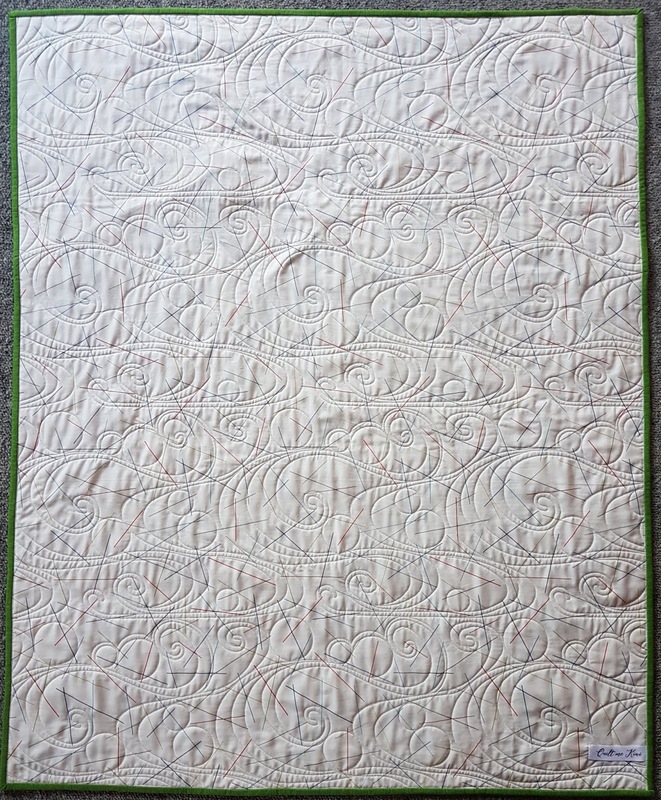 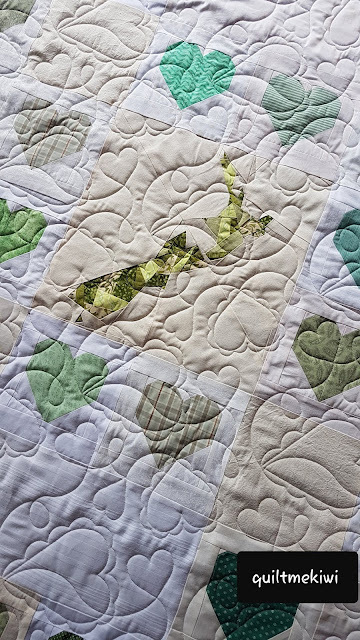 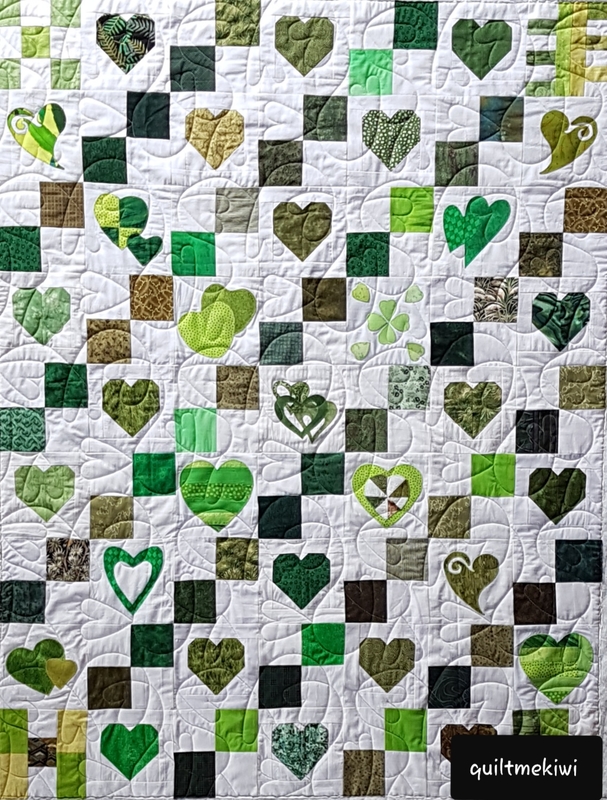 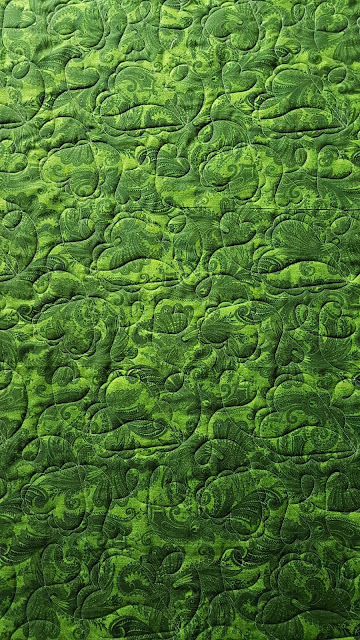 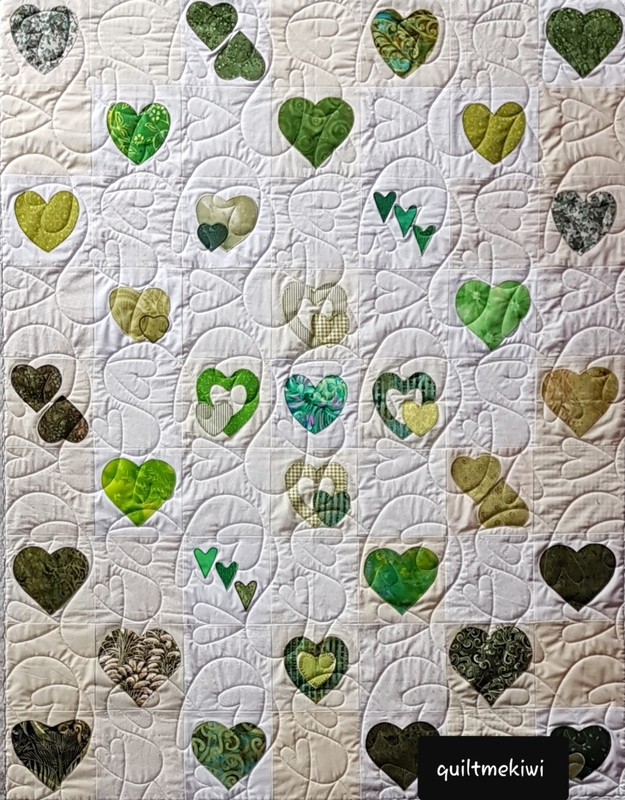 I recently gifted my quilting services to quilt three Heart Quilts for Christchurch. 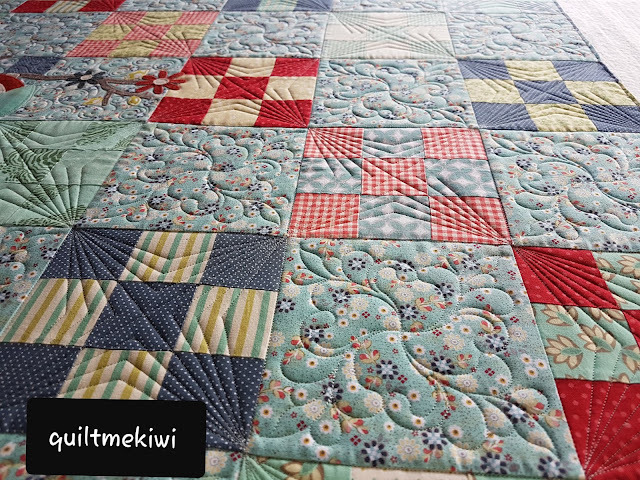 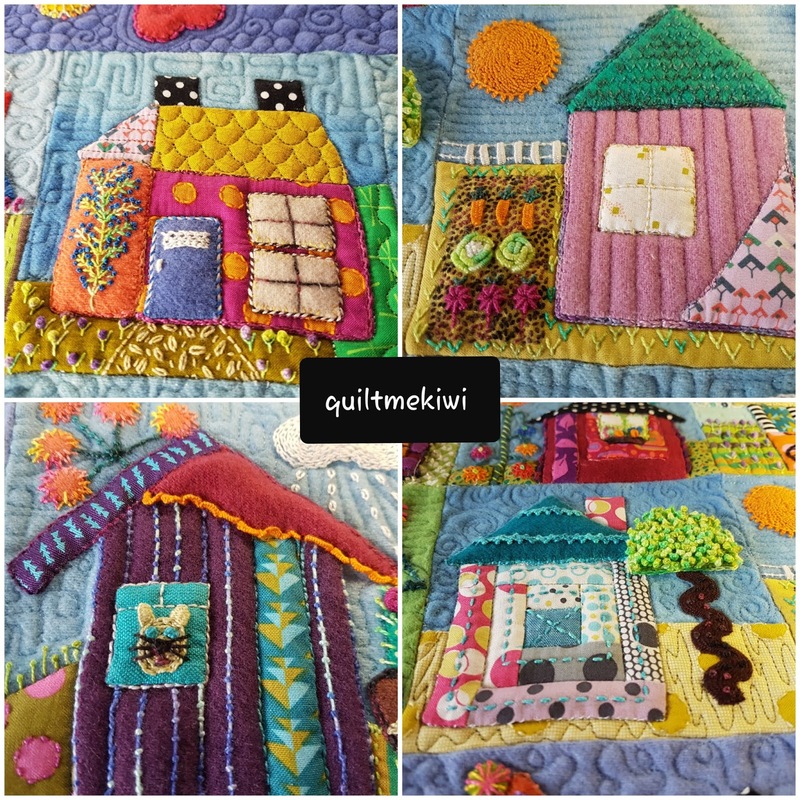 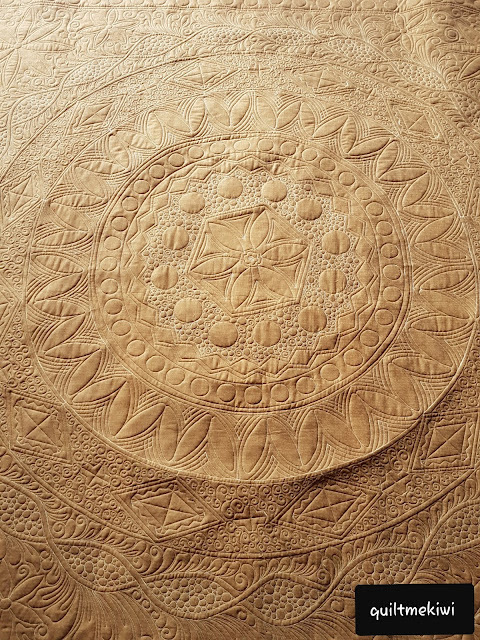 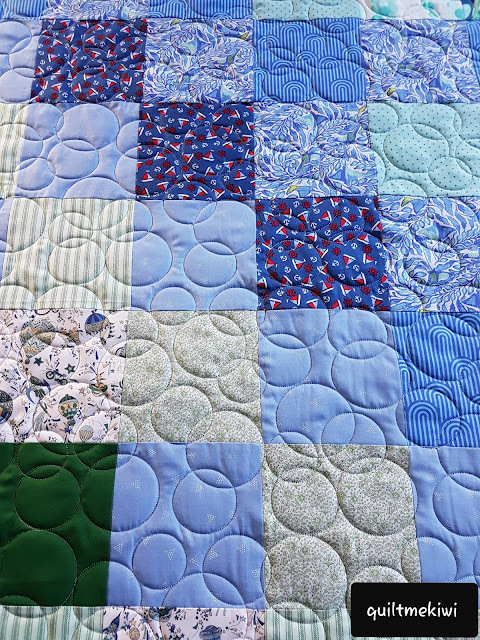 The Kerikeri and Kaitaia Quilt guilds made blocks and pieced the tops together. 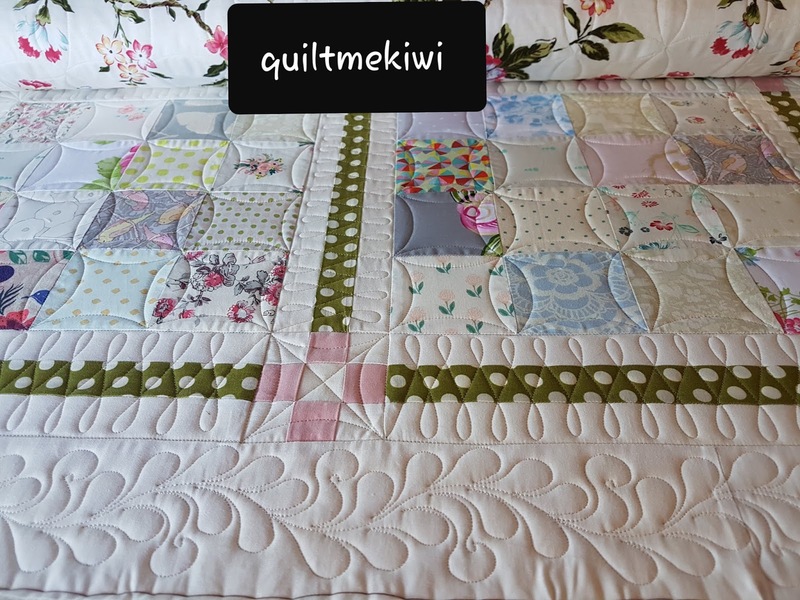 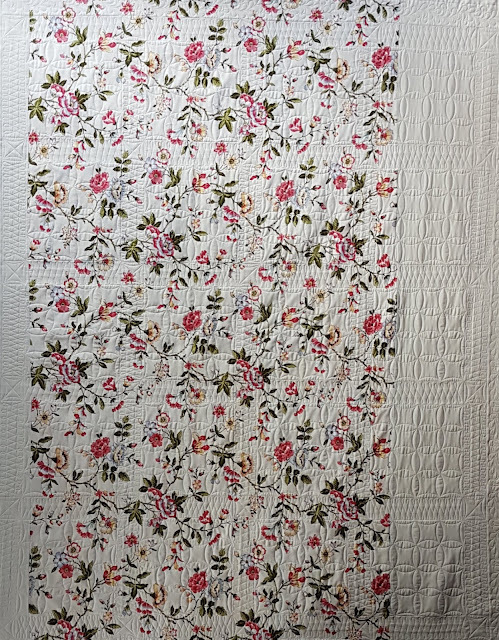 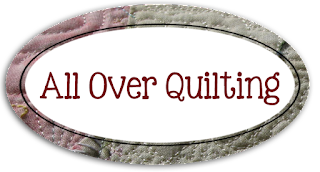 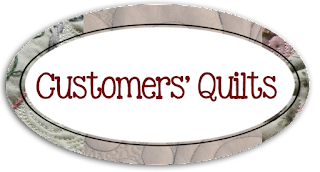 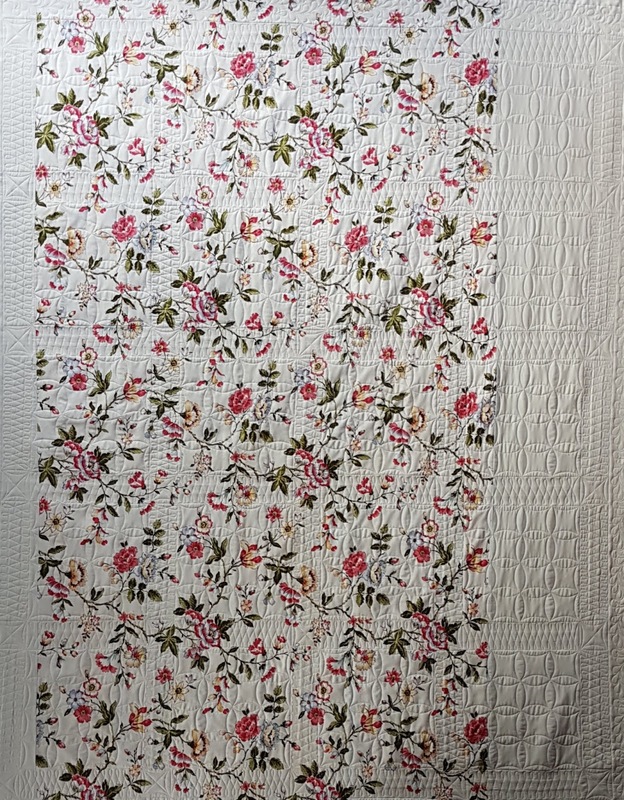 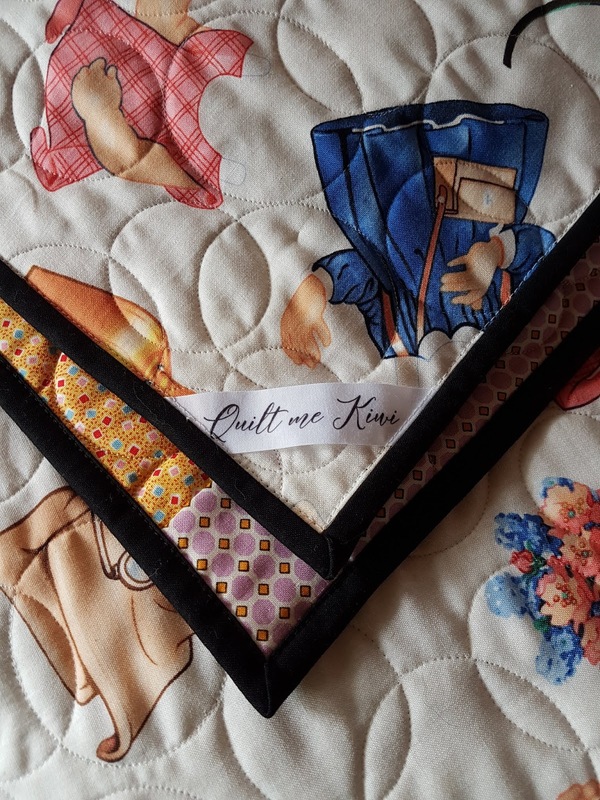 One of my Christchurch customers paid for the batting and backing for one quilt and the Kerikeri Guild paid for the batting and backing for the other two. 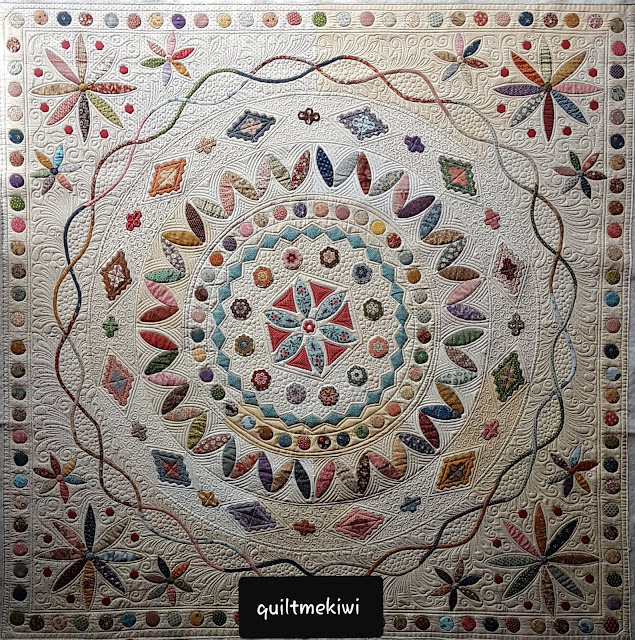 Two very different quilts with very different E2E Quilting designs. Measurements - 84" x 84"
Backing - Brown Paisley - Purchased from me. 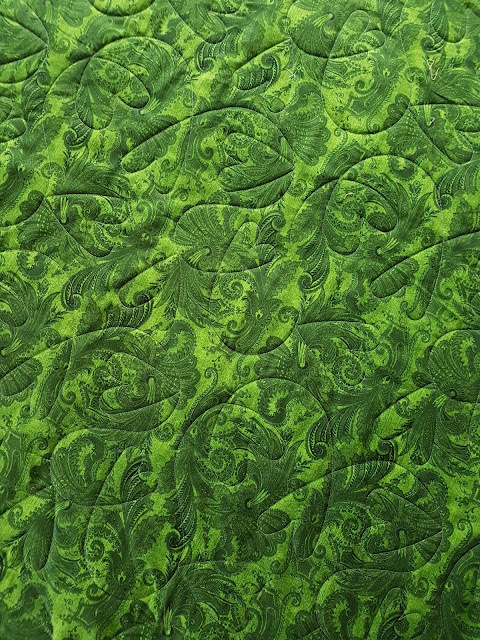 Quilting - E2E Quilting - Double Feathers. 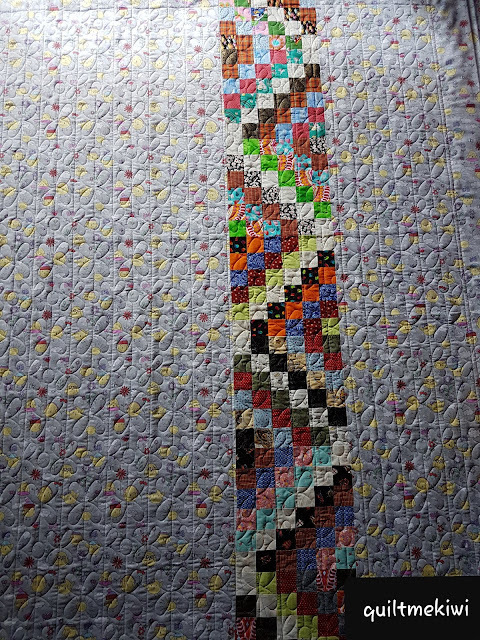 Pattern - Five inch Charms quilt. 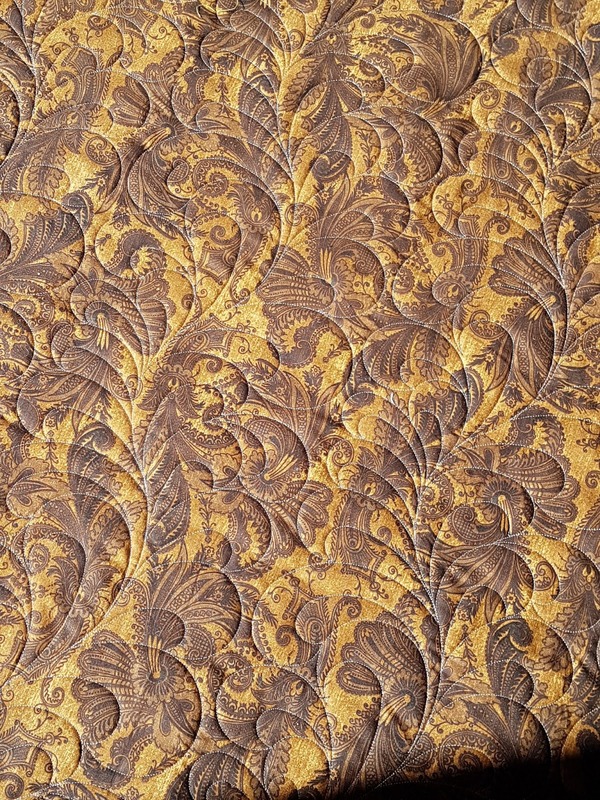 Measurements - 51" x 51"
Batting - Polyester - Purchased by me. 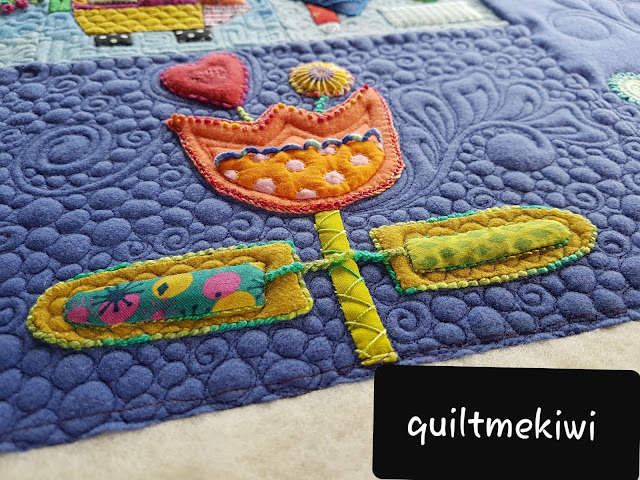 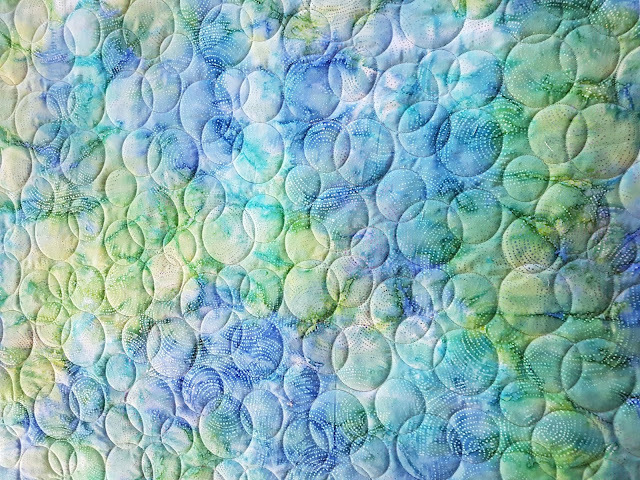 Quilting - E2E Quilting - Baubles. 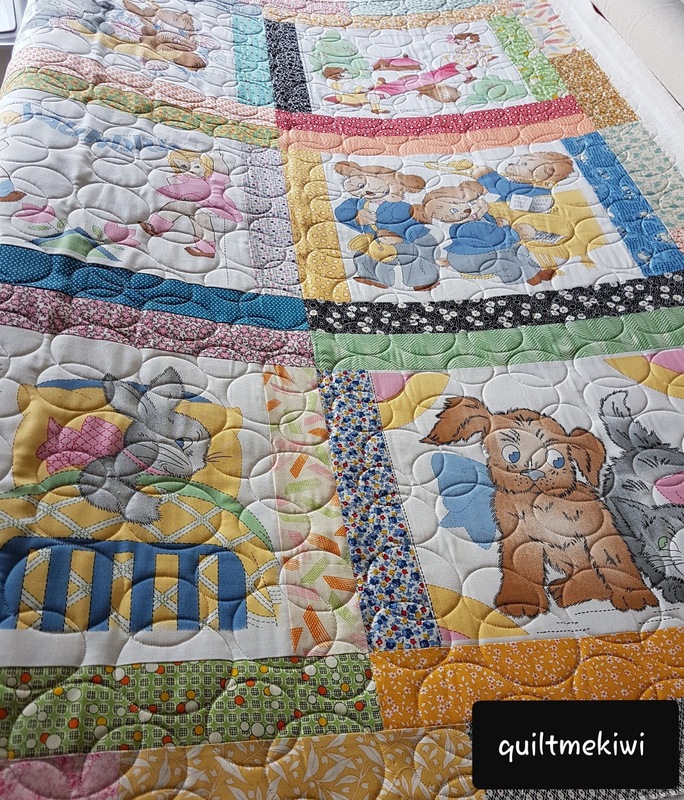 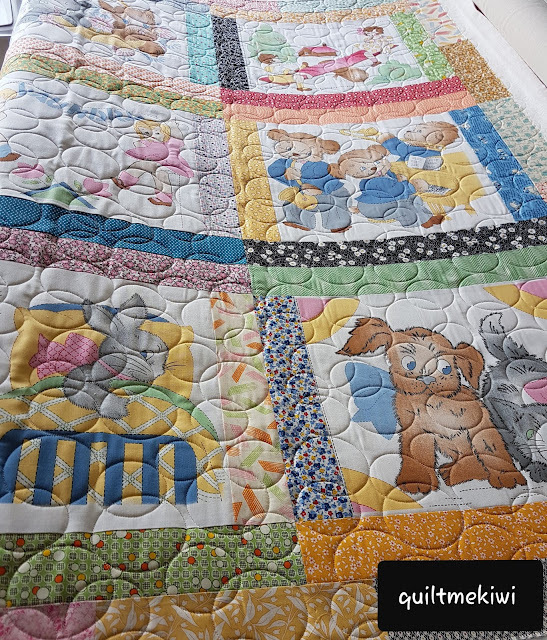 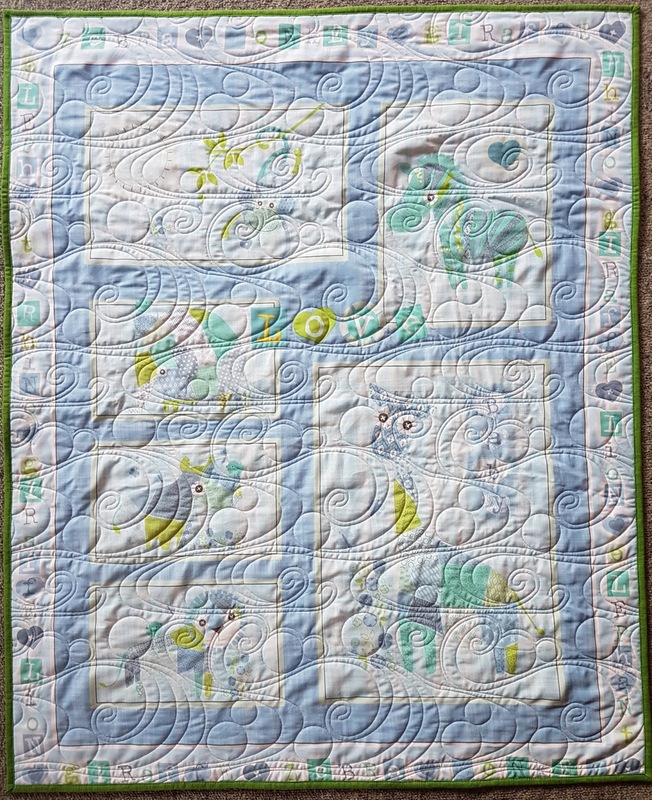 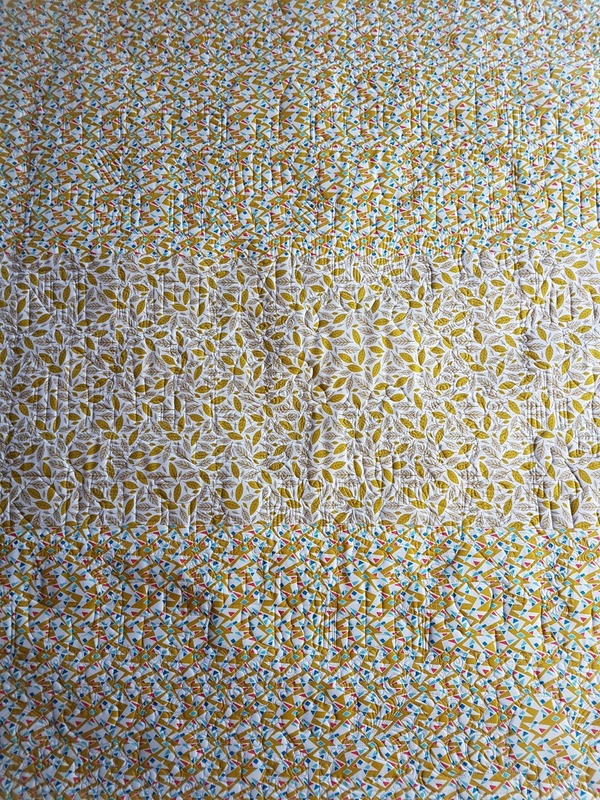 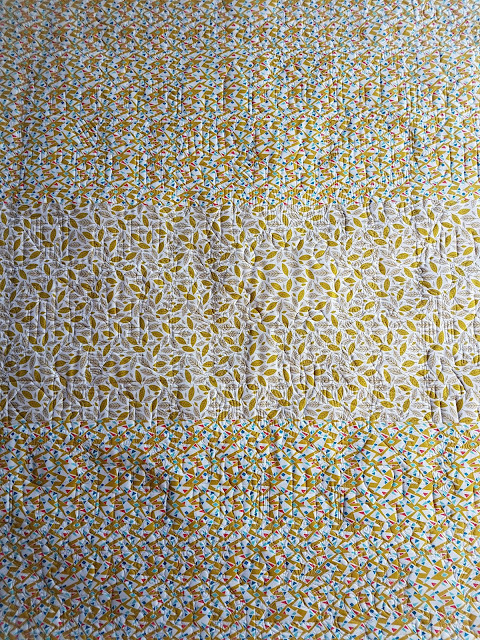 Here is another one of my cot quilts that are for sale on my Etsy Store. 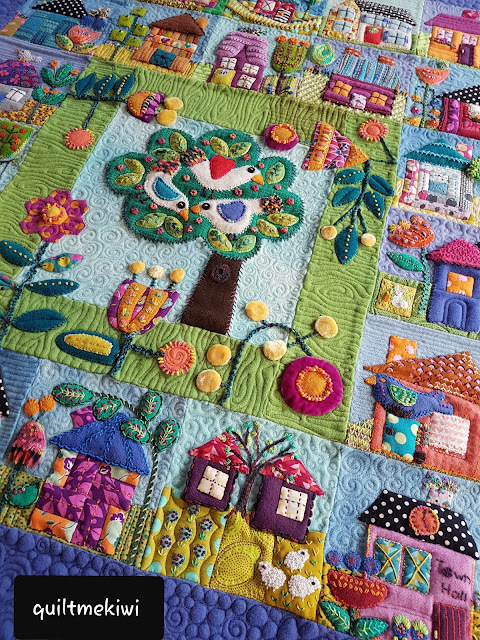 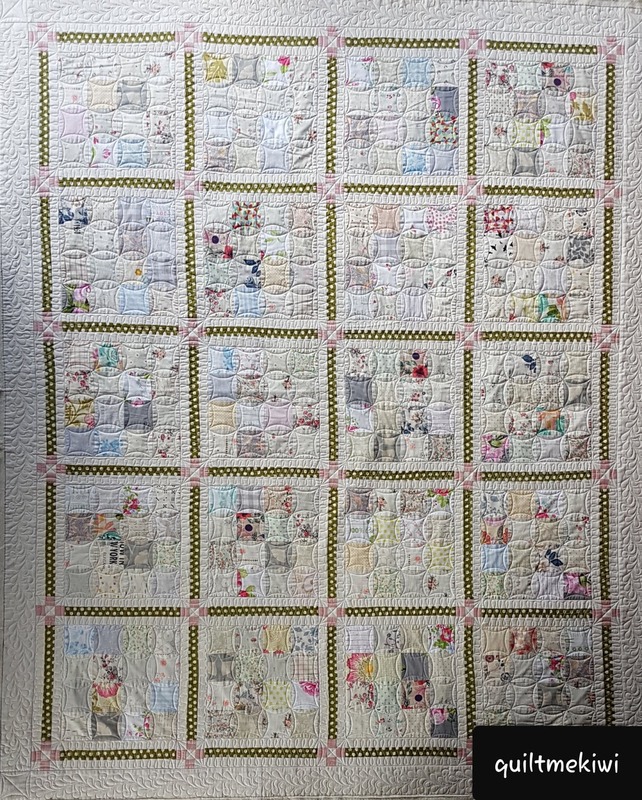 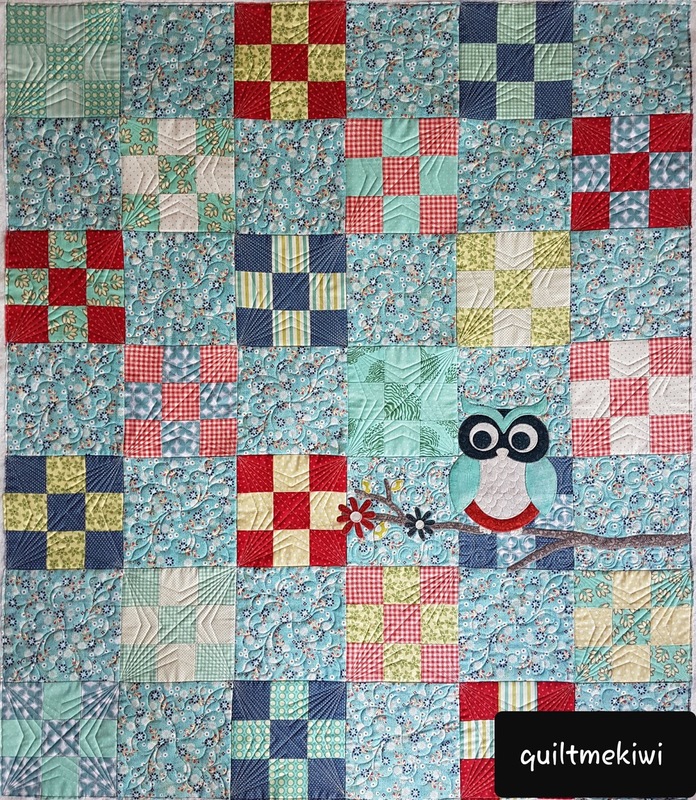 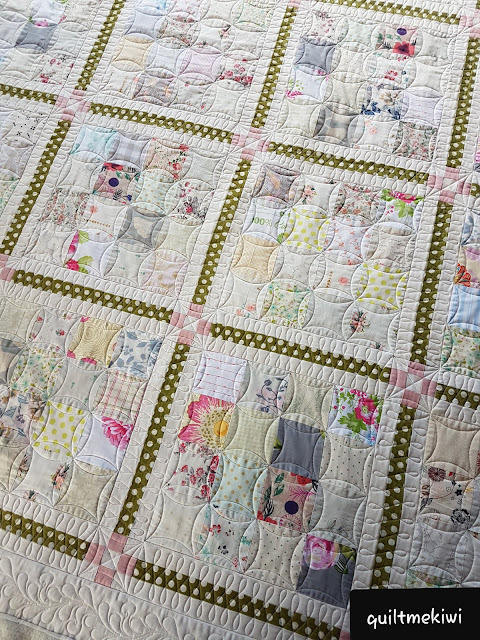 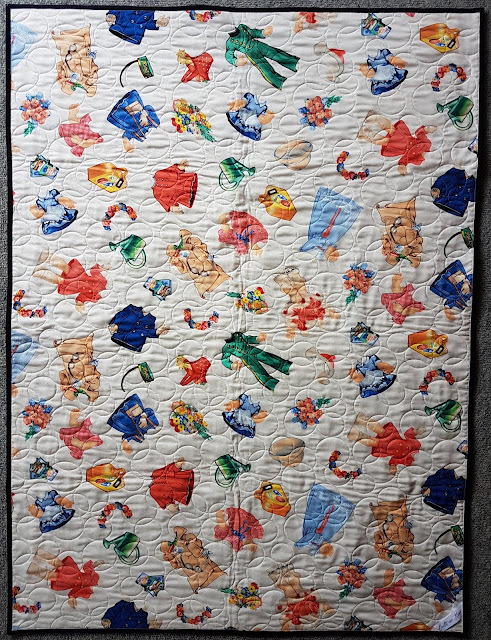 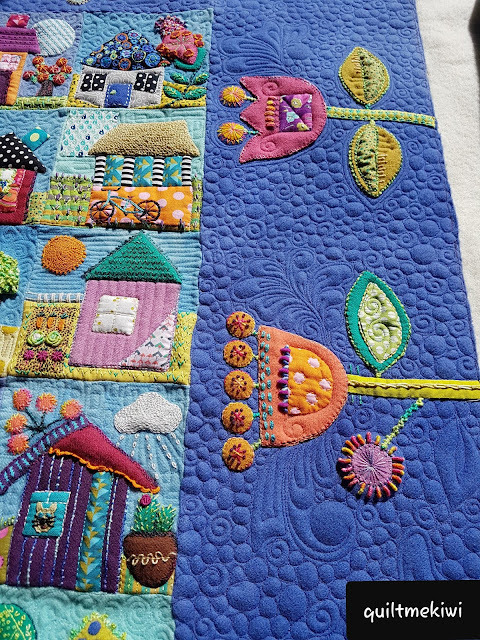 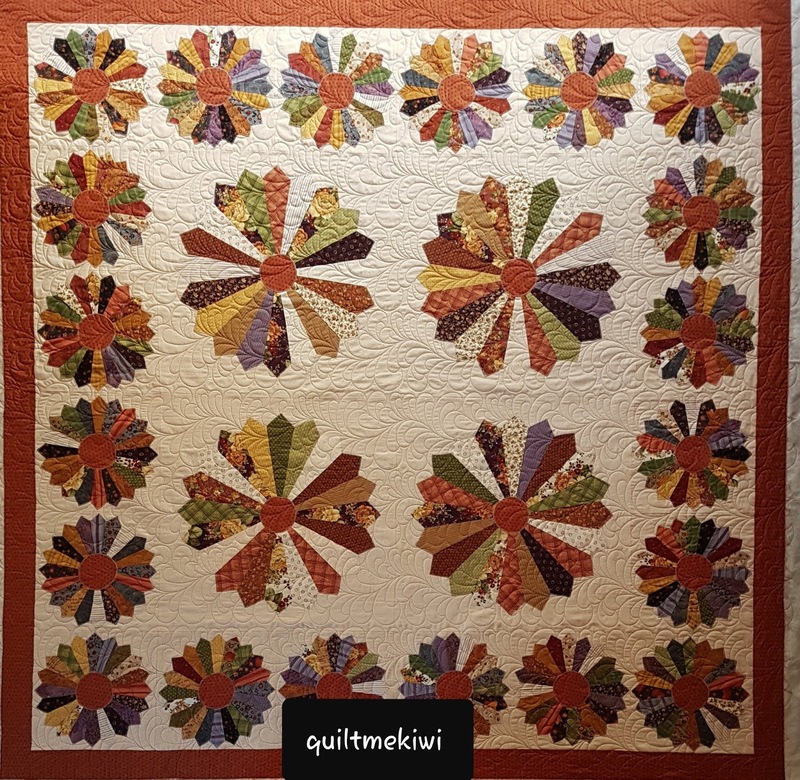 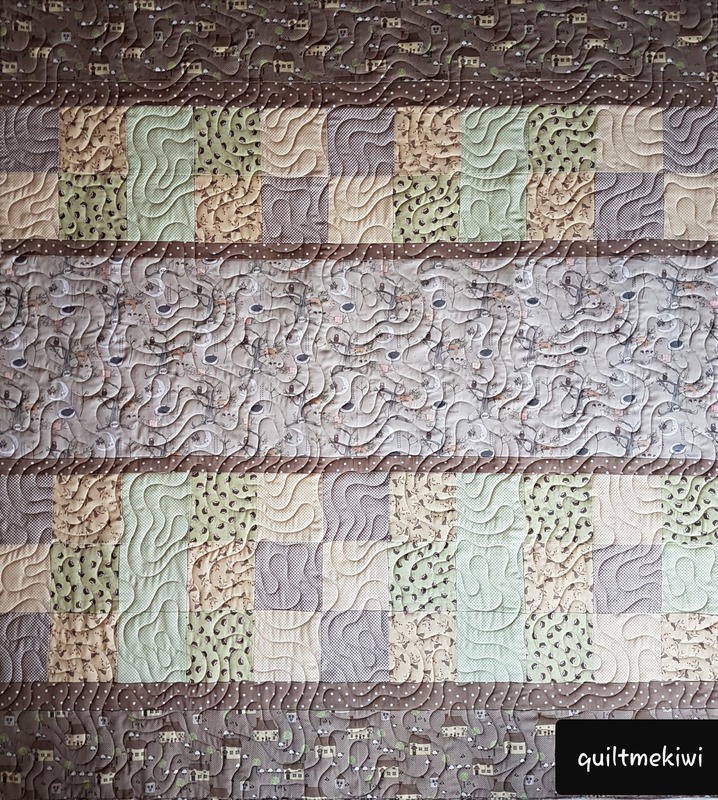 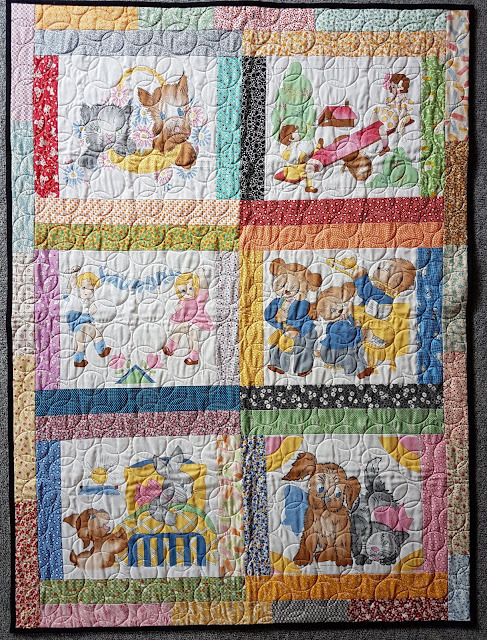 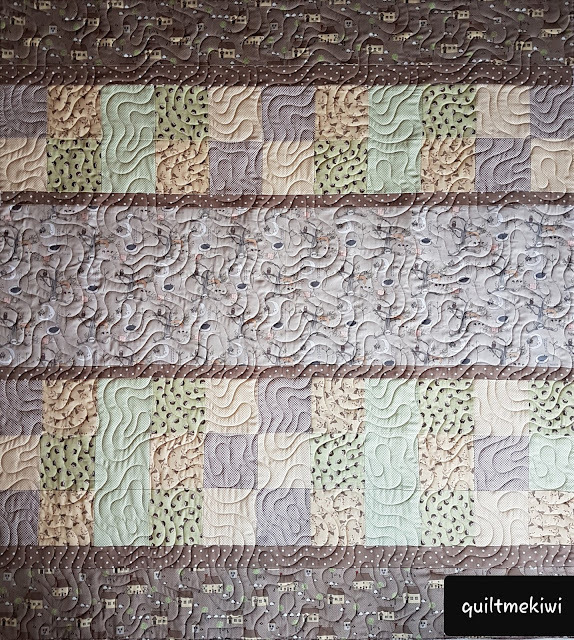 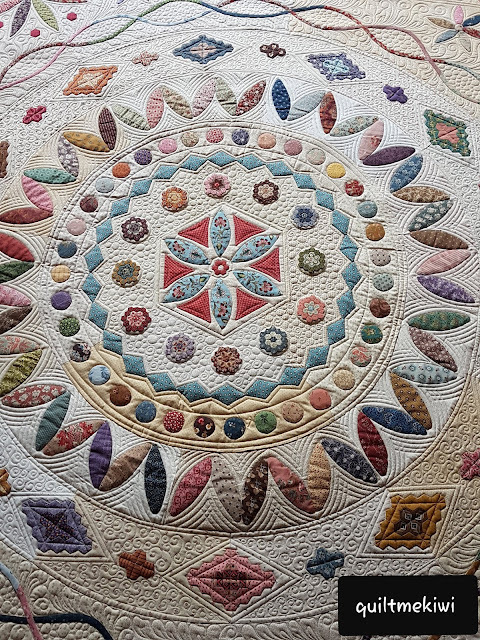 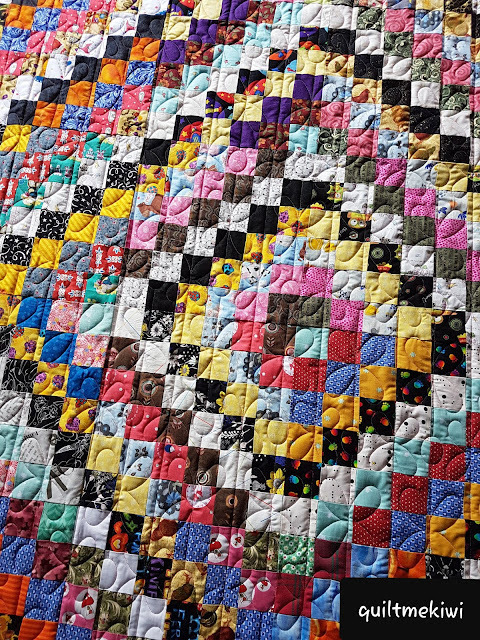 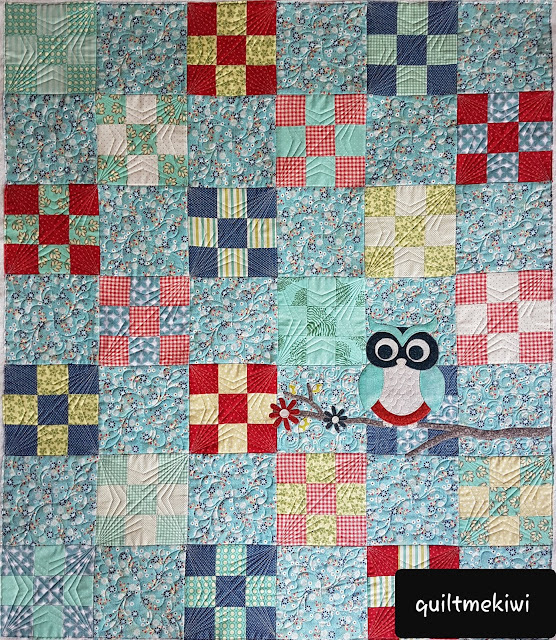 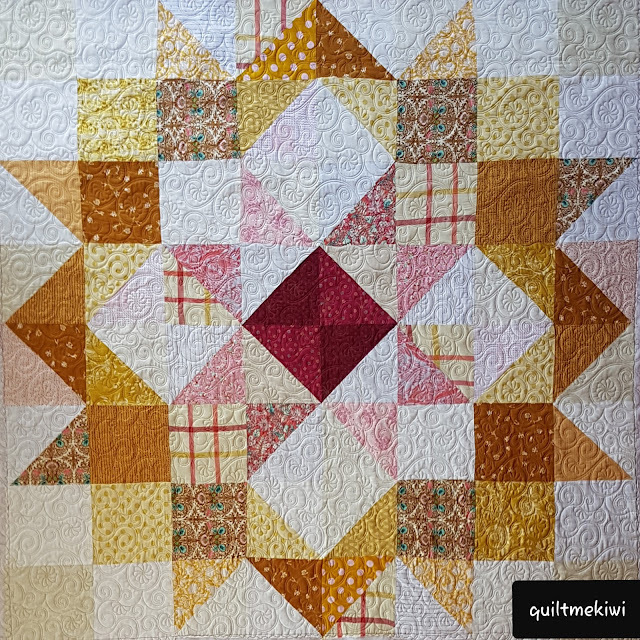 A cute patchwork panel quilt. Measurements - 70" x 70"
Welcome back, today I have three quilts to share today they share the common ground of E2E Quilting. 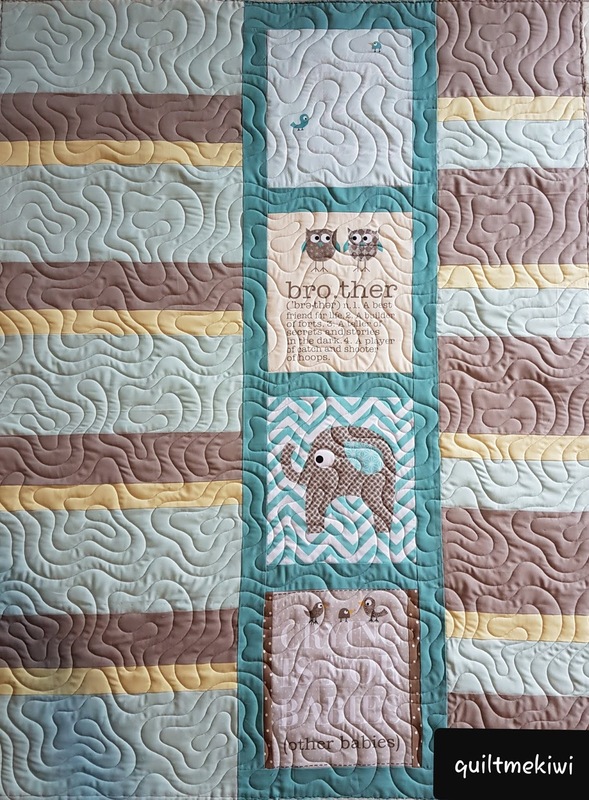 Pattern - Brother Elephant kit by The Country Yard. 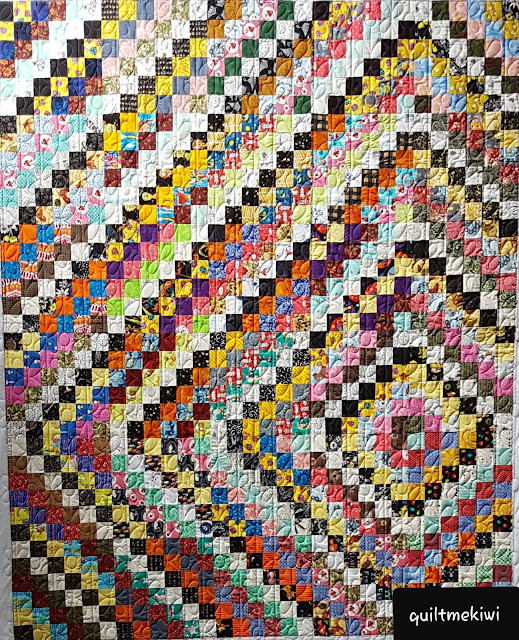 Measurements - 37" x 48"
Backing - Cream Karen Lewis - Purchased from me. 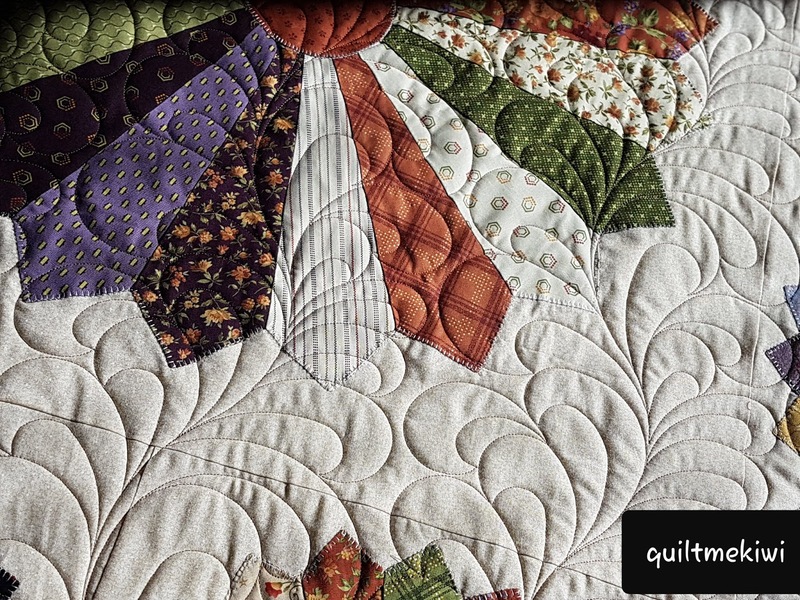 Pattern - Air Traffic by Cherry Watson for The Apple Basket. Measurements - 44" x 48"
Measurements - 60" x 71"
Quilting - E2E Quilting - Over & Back Calico.